Photographing a product against a white background is something everyone knows. To remove the distractions and let the viewer focus on the product only, plain white backgrounds are considered. Photography is fun and keeps you happy; it becomes important to take that fun level to a new height taking care of few things. Want to increase the sales? Want to rank at number 1 in the search results? Focus on creating stunning product images to join the race that everyone has to be chosen at first! 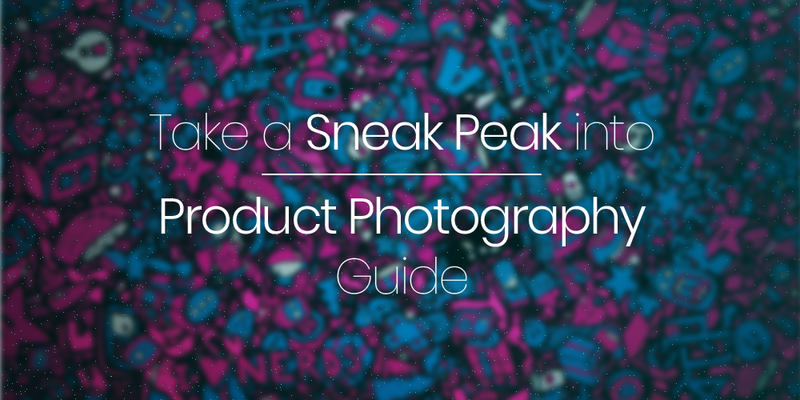 For amazing product photography, keep the camera stable against the wall or use a tripod. Other than that, it is important to keep a piece of large white cardboard behind the product against the wall to make it the background. For product photography, it would be the amazing method as the card creates a seamless backdrop. Further, it’s the time to add lights and flashes to capture the amazing shots. Prefer shooting in the daytime but if you cannot, then arrange tons of lights to have the best effect. Place the reflectors, LED lights and light stands to hold the lights properly in place. Make sure to keep the light diffused and never put direct light on the product. Since direct light puts distracting shadows, it also changes the color of the products in the final results. To keep the light diffused, you can shoot through umbrella or a reflector and it will help in bringing out the awesome shots with beautiful texture. Next, you have to position the product properly against the background and at the surface. Take a tripod and keep the camera on it to maintain stability and avoid blurry shots. For accurate product photography, it is important to keep the camera at a right distance from the product. Before jumping on to the final shots, take some trial pictures to see how it goes. Next, after taking a look at the test shot, adjust the brightness, color tone and sharpness, if needed. If you have jewellery or such products that need shadows or reflection, use a plastic piece or glass table underneath the product. To take the reflection, shoot down at a slight angle. Use different angles, variety of shots, and few detailed pictures to show the best side of the products. Since product photography has to be done very carefully, it is essential to work on your skills beforehand to avoid taking multiple shots. Good product photos can really make you stand out from the others. Because people rely on the product photos before buying anything from the online portals, it is suggested to do one time investment in light stands, reflectors, diffusers and speedlights etc. It will make a huge difference to your sales and in no time, you will touch the sky high success. If you are a startup and don’t have a studio to capture the beautiful shots, try doing it at home or office. No need to rent a studio for that as with your creativity, you can rock it at home also. So will you follow these tips? If you will, everyone will love your work!